If you need to treat wastewater with high solids at your facility, you’ll want an effective, efficient filter press like those in Beckart’s Hy-Pack® Series of filter presses for IAF (Induced Air Flotation) and DAF (Dissolved Air Flotation) systems. 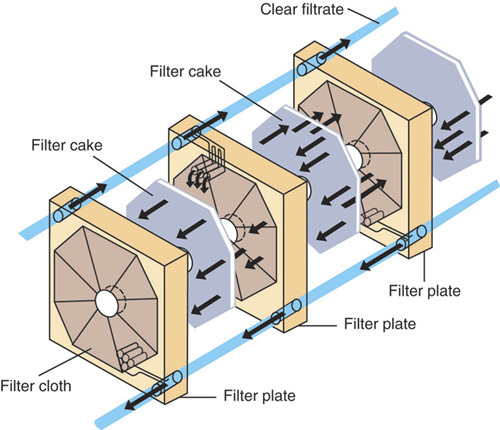 These presses provide excellent solids retention, producing 35-50% solids in the filter cake, saving you money on disposal. These presses routinely outperform other sludge dewatering devices, including rotary vacuum, horizontal vacuum, and belt filter presses. That high level of effectiveness makes them a real asset to a variety of industries including cement and stone fabricating. They are especially well suited for facilities that use ink, paint, or plating solutions such as the metal finishing business. 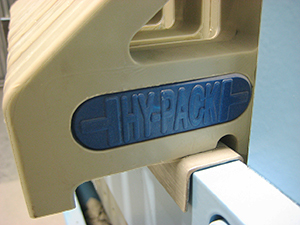 Manufacturers that produce starch as a byproduct will also benefit from a Hy-Pack® industrial filter press. In addition to being highly effective, these plate and frame filter presses are easy to use and fully automated, so your operators only need to be on hand for press set-up, cake removal, and maintenance. Each comes standard with cold-draw steel side rails, solid hot-rolled steel head and follower plates, all-welded hydraulic cylinders, air blowdown drain system, polypropylene recessed filter plates rated at 100 psi, polypropylene filter cloths with gasketted edges, and 2-speed hydraulic pumps. 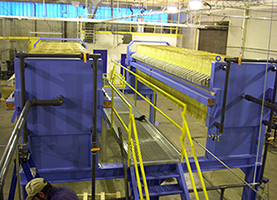 Like all of Beckart’s wastewater treatment equipment, our sludge filter presses work well with your existing equipment, so it’ll be a nearly seamless transition to improved solids filtering and disposal. Beckart ensures this smooth wastewater treatment system integration not only with versatile products, but also with world-class customer service. We custom combine components to make systems that provide optimum filtration and treatment for each of our clients, and we can also provide chemical delivery, training, maintenance, and other services for the life of the system. For more information on filter presses, industrial reverse osmosis systems and other wastewater treatment equipment, contact Beckart today. We have representative worldwide ready to visit your facility to learn about your needs. Small manually operated presses with capacities up to 4 cubic feet in volume. Manually and semi-automatically operated press up to 15 cubic feet. Semi-automatic presses up to 30 cubic feet. Semi-automatic presses up to 60 cubic feet. Semi-automatic presses up to 125 cubic feet.